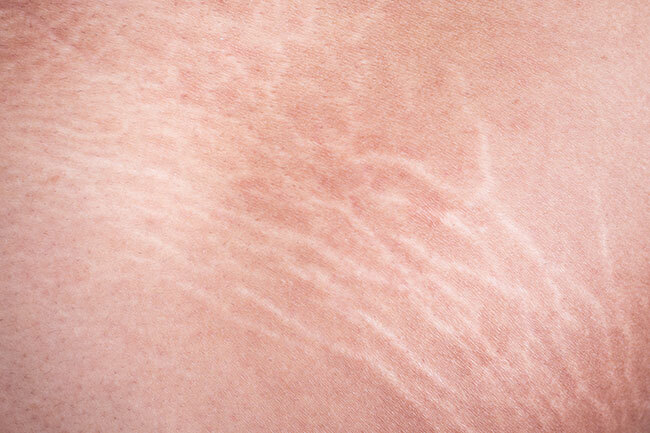 How Does eDermaStamp® Microneedling Treat Stretch Marks? eDermaStamp® Microneedling is an ISO13485 certified skin repair treatment that uses medical-grade microneedles to precisely penetrate the dermis to trigger your body’s production of new collagen and elastin, resulting in the natural process of skin repair that reduces the look of scars and stretch marks. How Does eDermaStamp® Microneedling Work for Stretch Marks? eDermaStamp® Microneedling is delivered through an advanced handpiece that penetrates your stretch mark area using non-traumatic cone-shaped needles at a rate of 150 strokes per second. The needles puncture the skin at a precise depth that effectively creates micro-wounds that seal quickly after treatment. These microscopic wounds trigger your body to produce new collagen and elastin, kickstarting the rejuvenation process of neocollagenesis, promoting new skin and dramatically reducing stretch marks, scars, and other skin texture irregularities. Q: Can eDermaStamp® Microneedling be used on any skin type? A: Since eDermaStamp® does not use heat, it can be safely and effectively used on any skin colour and skin type. Q: How long does one eDermaStamp® Microneedling session take? A: Stretch mark reduction using eDermaStamp® Microneedling can take up to 1.5 hours to complete, depending on the area’s severity. Q: Will I need any downtime after an eDermaStamp® Microneedling stretch mark treatment? 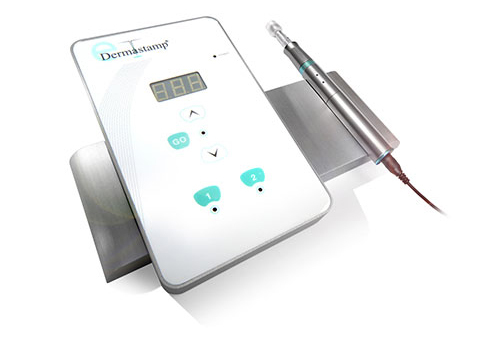 A: There is minimal downtime for the eDermaStamp® Microneedling treatment. Immediately following treatment, you will notice redness and swelling, a normal reaction from your skin as it begins to heal. Over the next 24 to 48 hours, you will experience a pink tinge, followed by some dryness as your skin begins to exfoliate. Q: When can I see results from my eDermaStamp® Microneedling treatment? A: You will notice a difference within two to six weeks following your first treatment, and your skin will continue to improve within six months to one year.